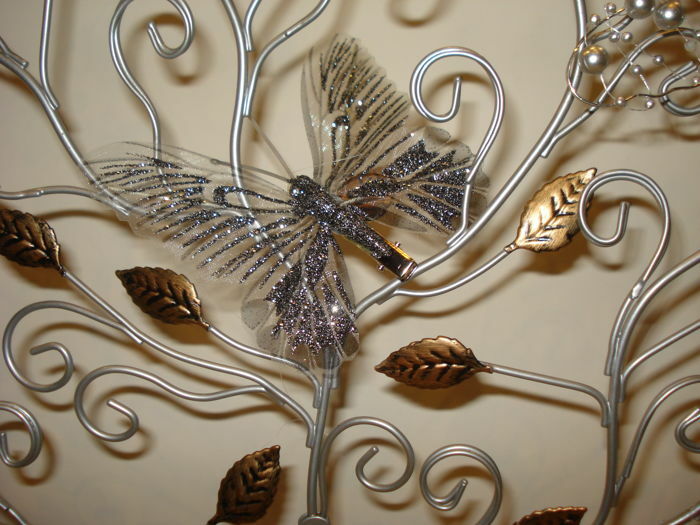 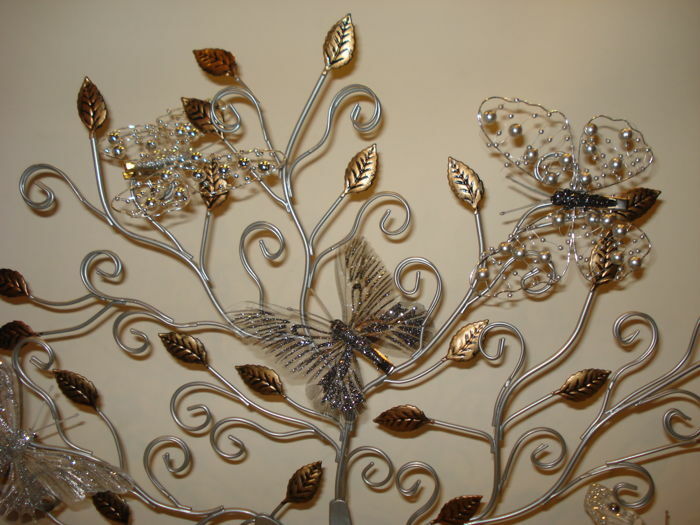 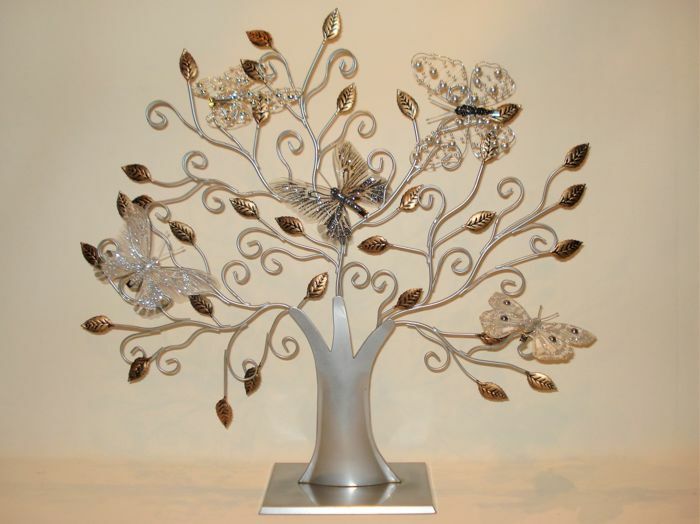 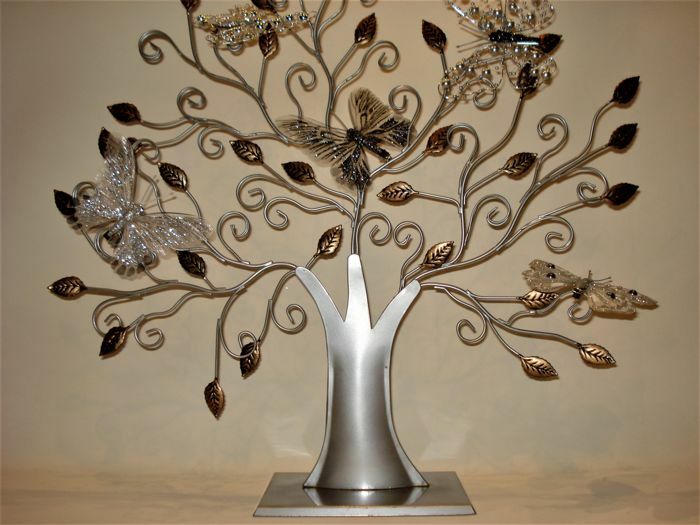 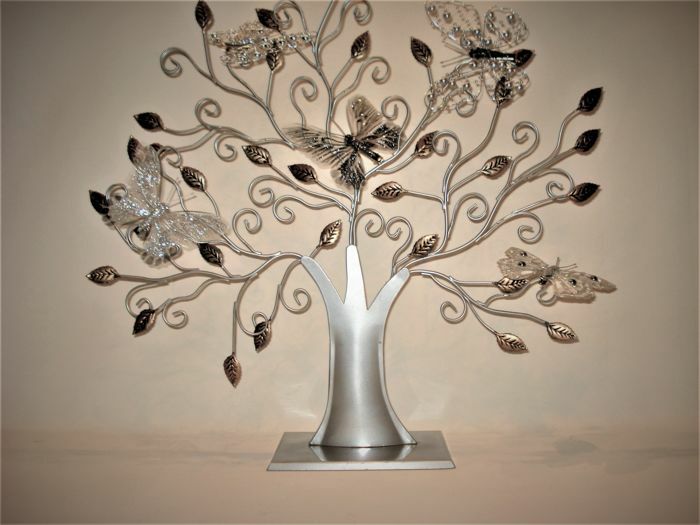 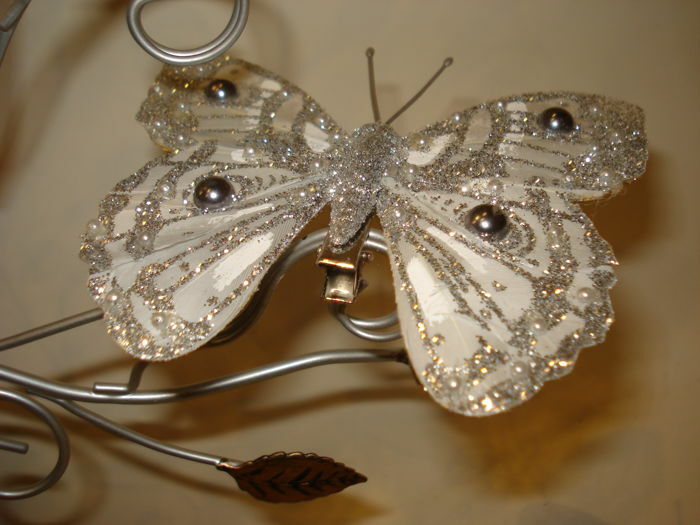 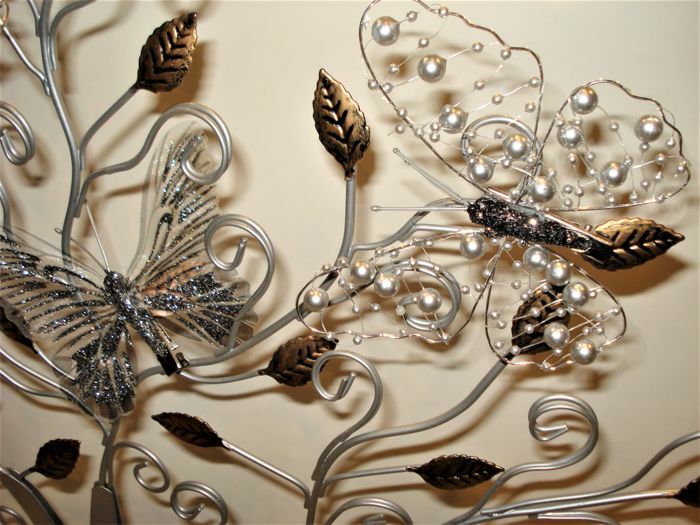 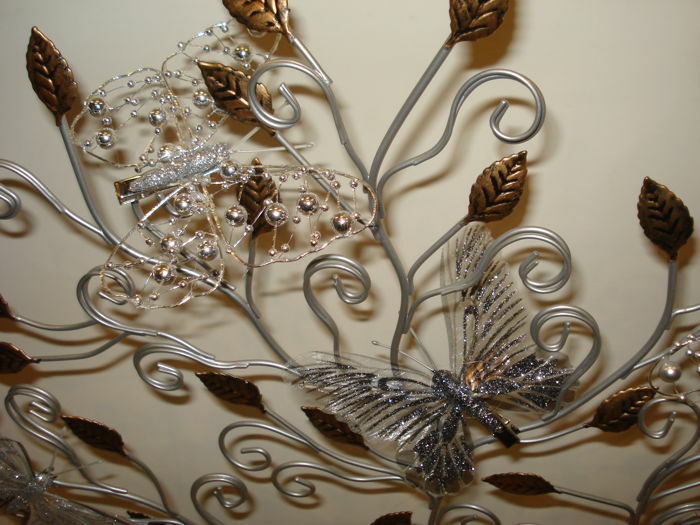 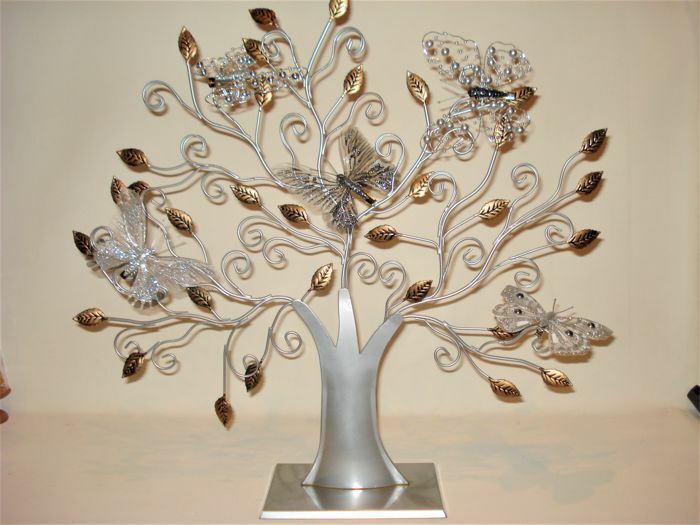 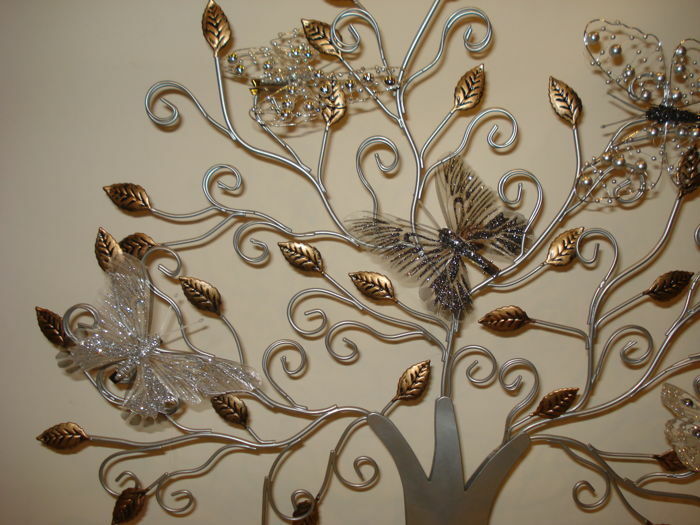 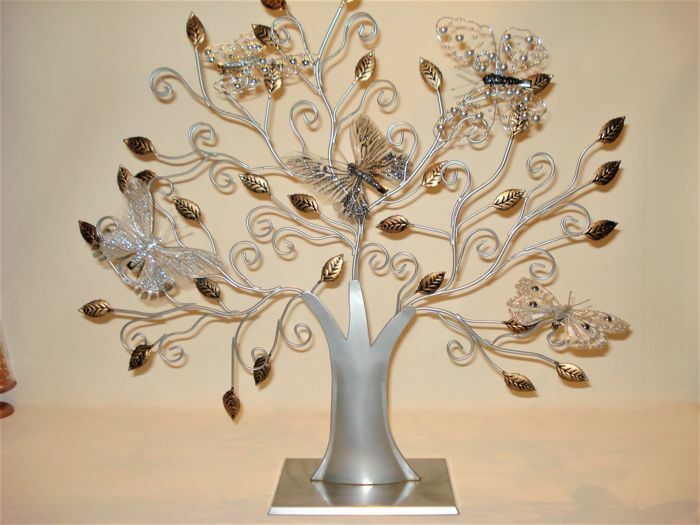 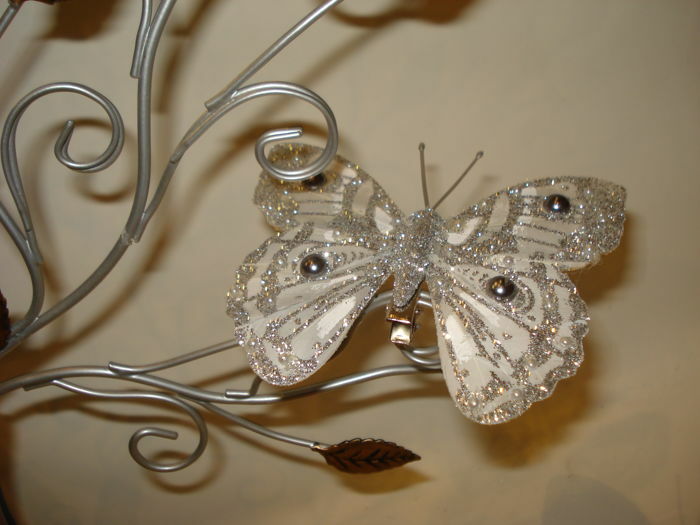 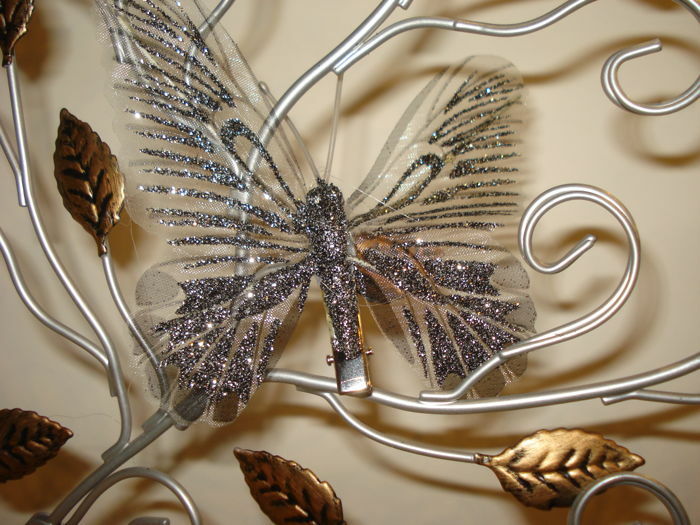 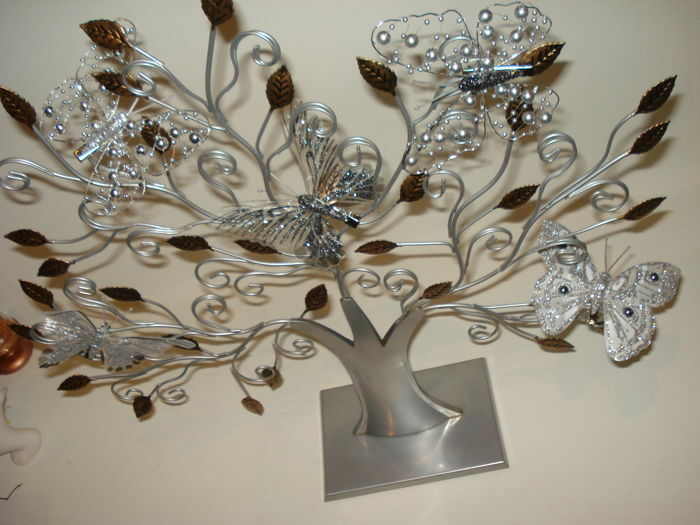 Large tree of life in silver with gold-coloured leaves, containing 5 decorative butterflies. 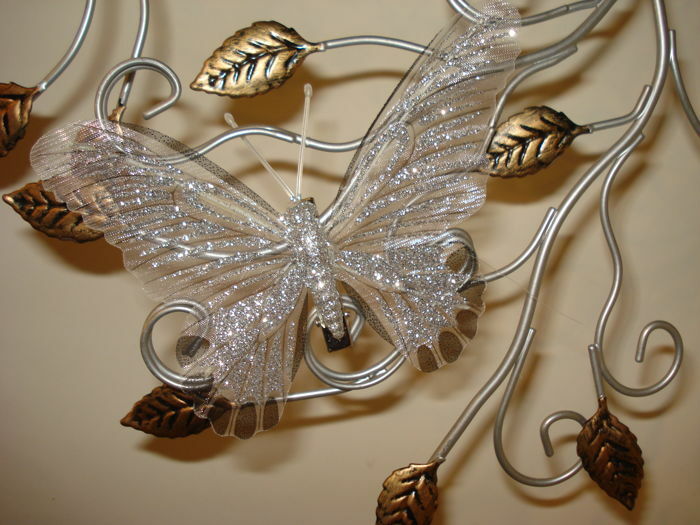 A gem for any interior. 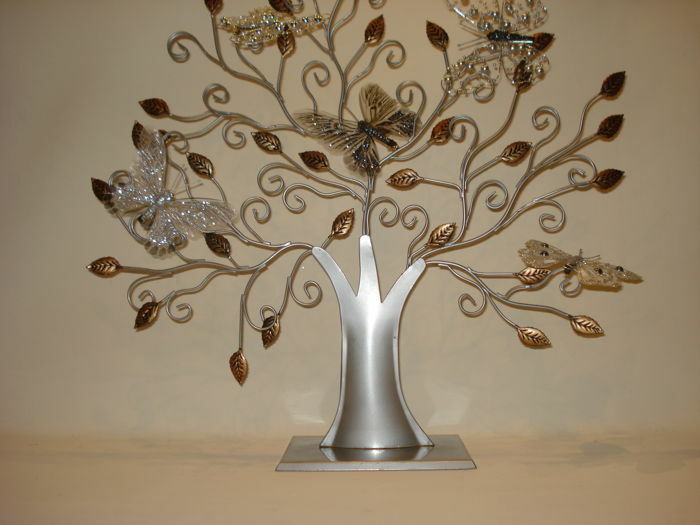 Dimensions - height 50 cm - width 50 cm.